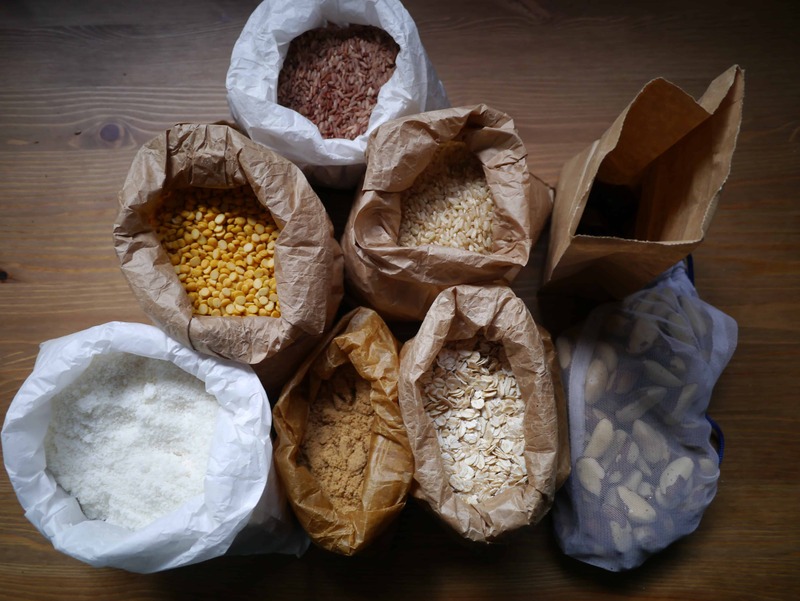 After my recent blog post on trying to make my own tahini, which was motivated by my desire to use less packaging, I thought I’d write about my quest for a zero-waste kitchen. Let’s be clear, though. I do not have a zero-waste kitchen. 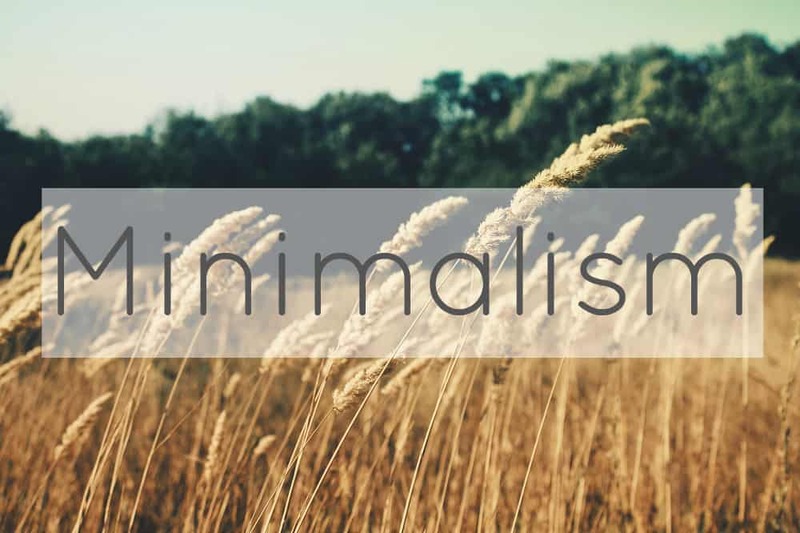 It is something that I aspire to, something I’m working towards, but I am not there yet. I might never get there completely either, but it’s something to strive for. I predominantly buy my groceries from bulk-buy stores. 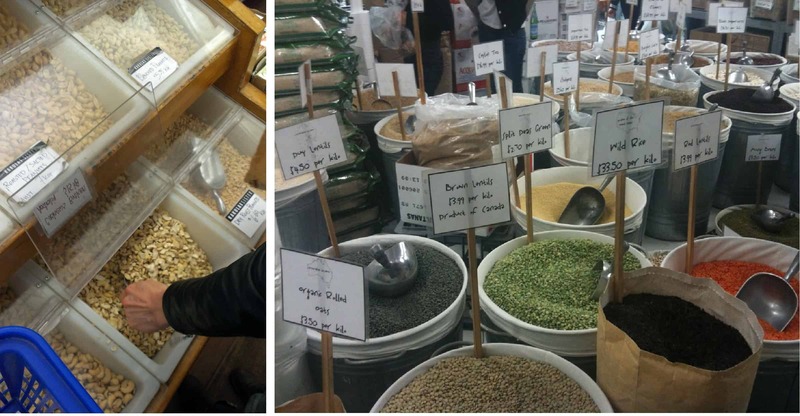 I have a few local stores to choose from that sell nuts, seeds, flours, grains, pulses, beans, herbs and spices in bulk, and I store everything in the pantry in glass jars. I can also buy some condiments in bulk, such as tamari and soy sauce, and cleaning products like dishwashing liquid. Rather than use the bags supplied by the stores, I take my own. 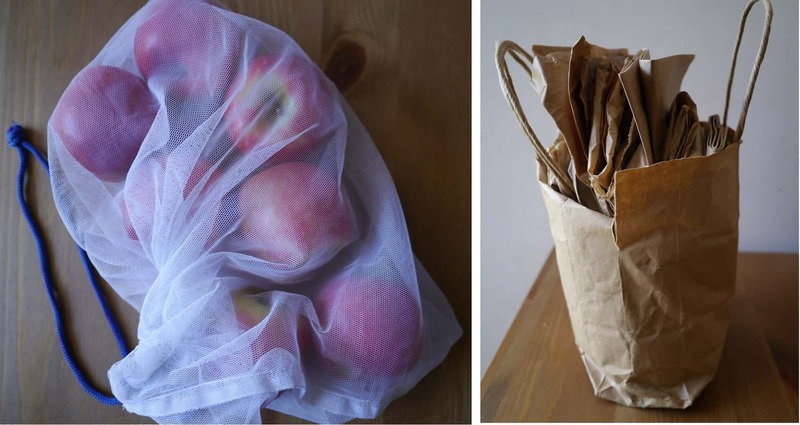 I re-use old paper bags (I once read that a paper bag takes three times more energy to make than a plastic bag, so my goal is to use each bag at least 3 times), and also have reuseable washable cloth and netting bags. If reusing paper bags, it’s worth checking what was in there last time. Cinnamon-flavoured brazil nuts are a pleasant surprise, chilli-flavoured sugar is less delightful! I also have a rule that I can’t take any new paper bags from the shop – if I don’t have enough then I have to go without. It’s a good lesson in being more prepared next time! 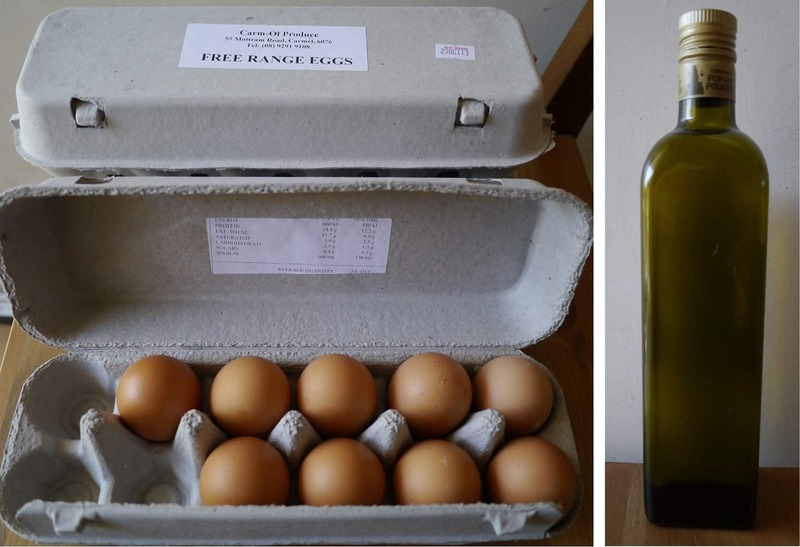 At my local farmers market there is an egg seller who takes back old egg cartons for re-using. I store my eggs in their boxes at home, so I have four of these so I can return the empty ones to swap with new ones without running out in between. We also have local olive oil producers at the market who sell oil in bulk and refill bottles. It goes without saying that I only buy loose produce from the other stalls. If I want to buy items from the deli counter or fishmongers, I take my own containers. When you do this, it’s worth making sure that the assistant weighs your container first – you don’t want to pay for the privilege! 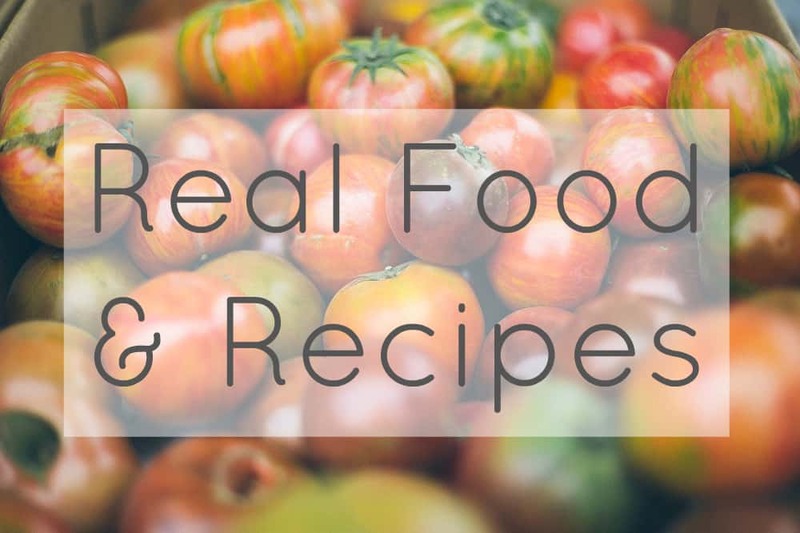 As much as possible, I prepare my meals from scratch to save on packaging, because it tastes far better, saves money, is additive- and preservative-free and is FUN! As well as meals, that includes making my own bread, yoghurt, nut milk, dips… and I’m always interested in learning something new. 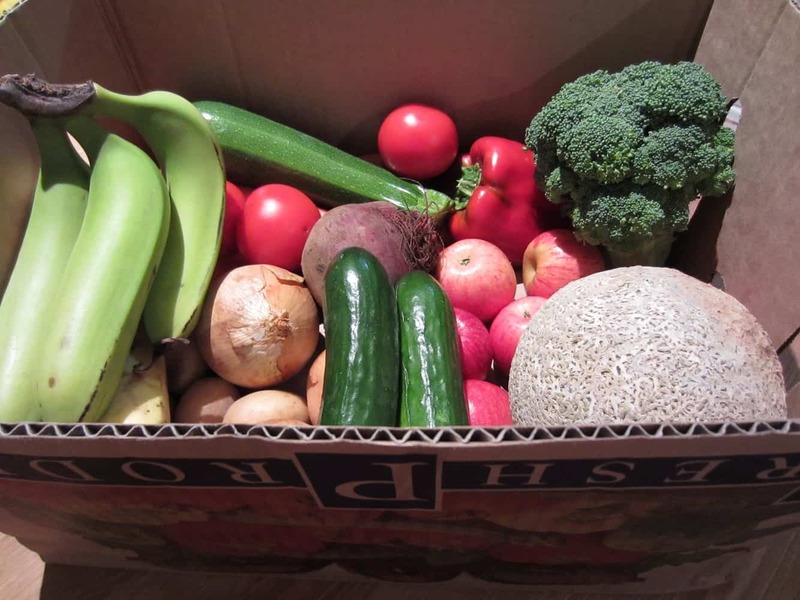 We get most of our fruit and vegetables delivered via a local organic veg box scheme. The produce arrives predominantly packaging free, but usually there’s a paper bag in there with something inside. Typically the potatoes and carrots arrive bagged. This means that despite my refusal to pick up new bags at the bulk produce stores, I still seem to be gradually accumulating them. The company were very good about not putting any of my produce in plastic when I requested it – I wonder if I call and ask for no bags at all they will be able to accommodate me? The boxes that the vegetables come in get returned each week for re-using. I have struggled a little with pasta. I have found one shop that sell vermicelli nests in bulk, as it seems harder to find than rice and other grains. Maybe this is because it is bulky. Sometimes we are caught short, and this means we do buy pasta occasionally in cardboard packaging. 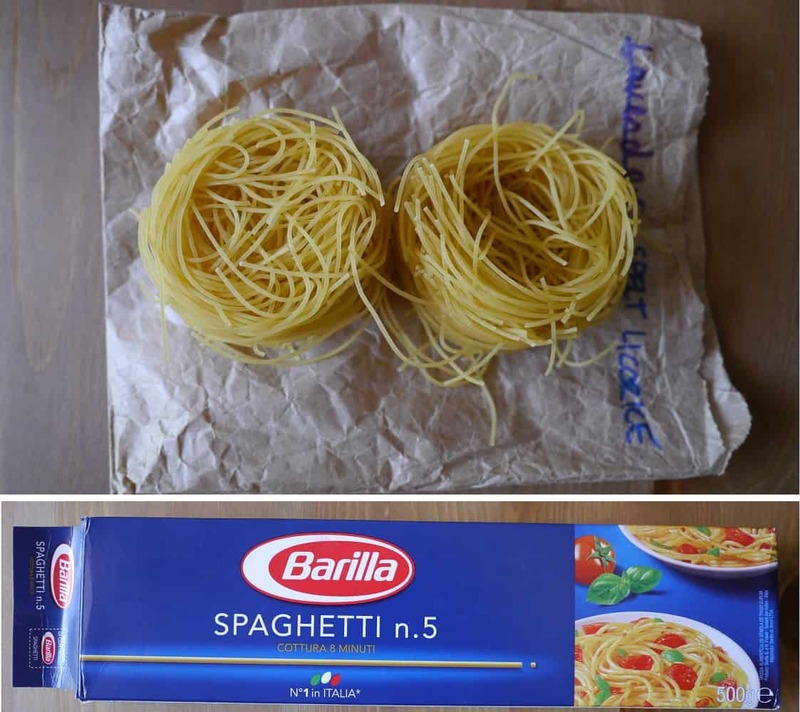 We try to stick to spaghetti rather than bulky shapes because the packaging is smallest with this. The first tip we picked up from taking part in Plastic Free July in 2012 was lining our bin with used newspapers. If you want to know how to line your bin, check my post about it here. 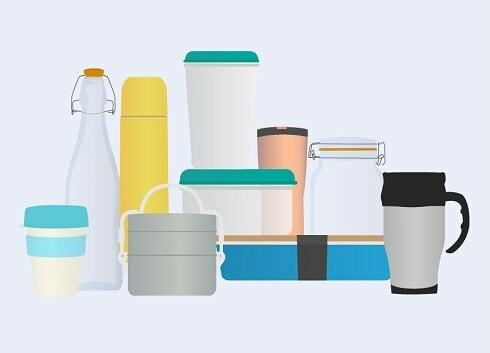 With a zero waste kitchen we shouldn’t need a bin, but we have no composting facilities where we currently live and what we can’t feed to our worms (and what little plastic sneaks in) still goes to landfill. We buy milk from a local producer called Sunnydale who take back the empty bottles for re-using. We get stuck with the lids (which we can’t return) but it’s pretty waste free. I have a friend who has goats for milking…maybe that is the next step!? There’s still things that we buy in glass jars and tins. I buy tinned tomatoes (I have had a go at canning my own once – it was time-consuming and messy, although successful – but I ended up with three jars. Mass production, I think, is the key. Maybe when tomatoes are in season this year I’ll buy a heap and try to can a shedload of them – not that I have a shed to store them in…). I buy coconut milk, and this is on my list of things to try to make. Tahini is another one! We have just used up our last jar of olives and I want to start getting these from a deli in future, which should mean better quality as well as less packaging. My boyfriend likes to drink the odd beer, and beer bottles (and occasionally wine bottles) end up in the recycling bin. These are not something we keep for re-using. On the list for the distant future (when we have the space), homebrew is something that I think he’d like to try. What else? I recently bought some cocoa butter, which came in a plastic lined bag. I know that it is possible to buy this in bulk, but none of my local shops seem to sell it. I like to experiment in the kitchen, and I don’t want to compromise by going without trying new things. I try as much as possible to keep plastic-free and packaging free, but sometimes I get caught out. 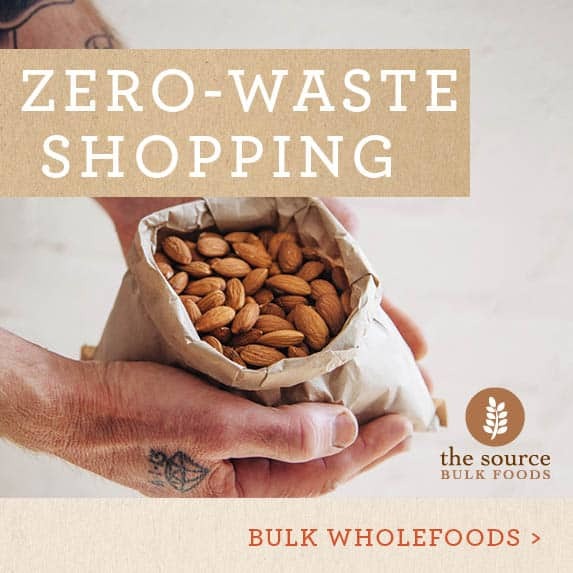 Unless I change my behaviour (or an amazing bulk produce store opens down the road) I will never be completely waste-free. So I try to do as much as I can. I might not be able to achieve 100%, but I can get as close to that as possible. As we find a solution or an alternative for one thing, so I can focus on the next thing. Small steps, in the right direction. Hello! This is Debra, Peter’s other half. We have found good Dutch cocoa in bulk at some of the Kakula locations, as well as dried spiral & other pastas which can be stored in our big glass canisters. The cocoa can be difficult to transport—one of your paper bags is probably best! The freshly home-made pasta always tastes soooo nice and is a great hands-on activity when you have friends over for dinner. We have also done the bulk passata making with a few friends using the pizza oven and it worked brilliantly. Thanks for sharing your experiences! I never thought of taking paper bags to the bulk store. I have mesh ones for bigger items, but I currently do use the plastic ones for powdery items. Might be worth a try. 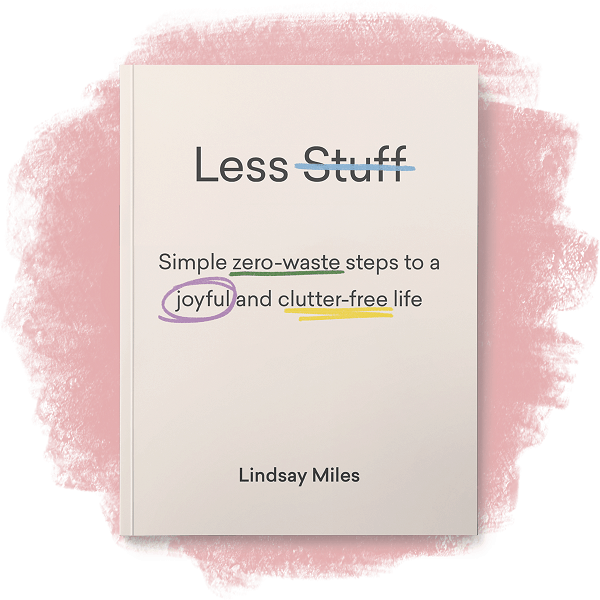 We, too, have had semi-successes with reducing waste. It’s quite an undertaking! I’ve taken containers to the store for bulk foods and deli, but I’ve struggled because I like organic meats, and the deli did’t offer that. We ended up prioritizing the organic meats. It’s tough–we’ve completely fallen off the wagon since our move, if the truth be told! Thank for sharing this, you’ve given me some inspiration to get back on track! It definitely takes time to find out where you can source everything. now it doesn’t seem like such a hassle, but we shop between three bulk stores which each have different things that we need. When we need to look for something new, then it is a challenge. I would hate to move somewhere new and have to start it all again! Good luck for getting back on track! The thing with making pasta I think, is that it would be fairly time consuming and it is very cheap to buy. I like to use my time to make things that are more expensive – like yoghurt or sourdough. That said, I might have a go again sometime. As for the bin, we have to decant it into a communal bin that we share with 15 other units – so I think it is more socially acceptable to wrap in newspaper to contain it as much as possible! In the Perth sun the bins get pretty hot and smelly! You’re right though, when we have our own place and can compost all our food waste we won’t bother lining it at all. Ah, the things we dream of! I love the comment about the cinnamon brazil nuts and chili flavored sugar! The cinnamon brazil nuts actually happened, and were a very delicious surprise. The chilli sugar hasn’t happened (fortunately) but I’ve had some pretty near misses! 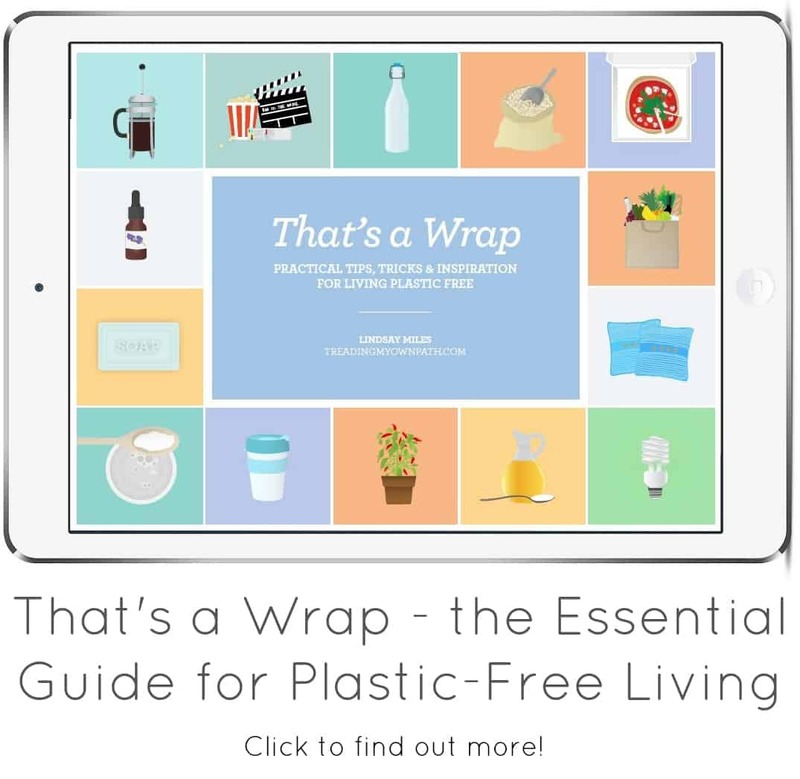 I know that when we started questioning our habits in the kitchen, our waste reduced considerably within a short amount of time. 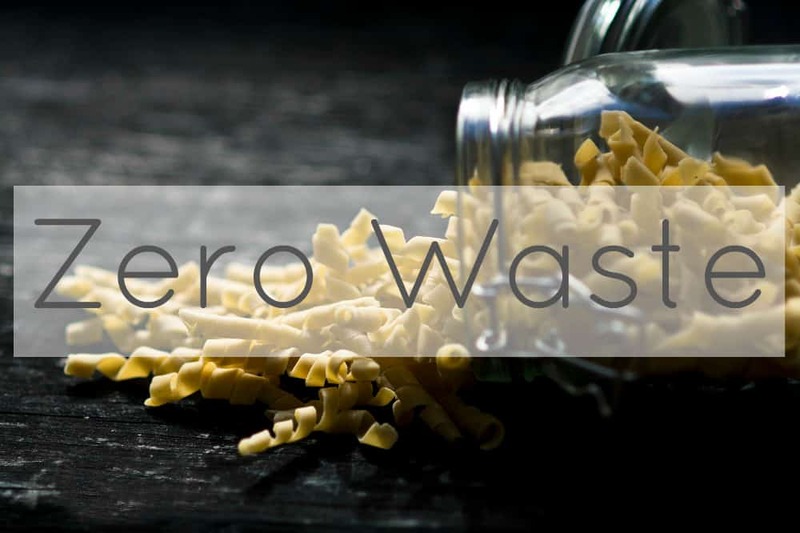 As for a completely waste free kitchen, that is an admirable goal, and one that we are working towards, ever so slowly. A Bokashi bin for a great blog! I’ve got two of them. Email me via The Straw Army and I will drop it off to you. Tinned tomatoes – I’ve actually just stopped buying these (as the contain added sugar due to manufacturers adding tomato juice). Also many come from Italian canning factories that are notorious for using unofficial migrants, who are employed in conditions akin to slavoury Instead I use fresh ones and just swear them down first. Yes they come from south of France/Spain in the winter but they are road freighted. You may find it easier to make and freeze passata. A few ounces of that and some chopped tomatoes works well for most recipes. We don’t buy them often. Actually, I don’t buy them but Glen does..he likes boxes of pasta, tins of tuna and tins of tomatoes in reserve in case he has to cook! We have found a brand of organic, BPA tinned tomatoes that we buy. They’re not cheap so they are not a staple. We often get loose tomatoes in the veg box so we just use those. When I lived in the UK I felt that buying food from Europe meant high food miles. Living here means my perception has totally changed! Buying things from the same State now means further distances than UK to Europe. Now I think as long as it’s not air freighted and is seasonal, it’s not so bad. There’s also the argument that growing things in the most suitable climate (tomatoes in Europe rather than UK) means less energy overall.. 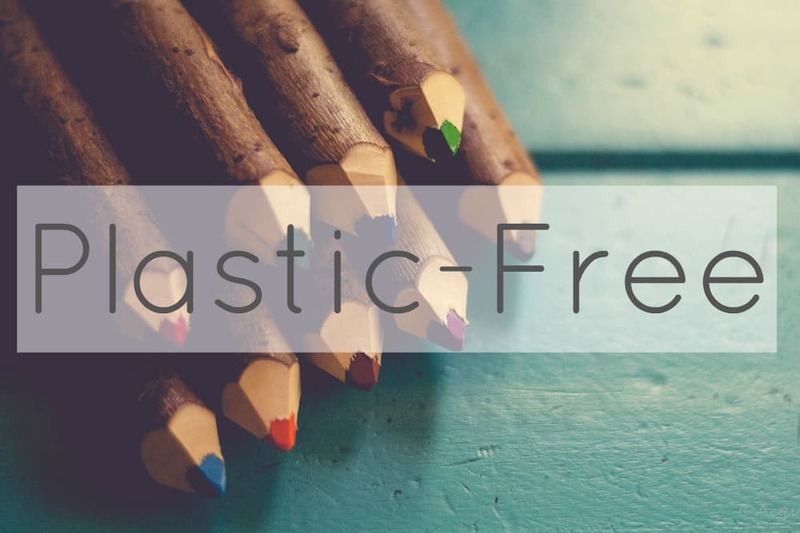 I have just signed up to your blog and I’m so pleased to find another Perth person working on zero waste. I have a few challenges left and olive oil in bulk is one. I’m near Freo and was hoping you could tell me where you buy your oil and is it cold pressed. Thanks I’m busy reading all your old posts today and luv them. 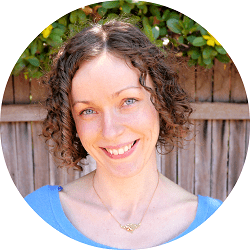 Hi Karen, lovely to “meet” you – and yay to another Perth zero waster! : ) Manna in South Fremantle sell olive oil in bulk but I prefer the stall inside the Freo markets (it’s a bulk bin store and the ladies who run it are lovely) as it’s far cheaper ; ) It costs me $11 a litre. The Spanish Xarchuteria in Claremont (near the station) also sell olive oil in bulk, and I think My Food Market (or something like that) in Cottlesloe also stock it. Plus Regan’s Ridge – at various farmers markets – offers bulk oil refills.